Beginning with BackupEDGE 03.00.07, Linux physical-to-virtual (P2V) conversion/recovery is built into RecoverEDGE. This allows the user to take a physical server with a supported Linux release and easily convert it into a virtual server running under VMware ESXi. Hyper-V support begins with 03.01.03 build 5 and later. There is no extra fee for this support on our Linux releases. VMware - Must be virtualizing to VMware ESXi 5 or later. Earlier versions of VMware may work but are not supported. Hyper-V - Must be virtualizing to Windows Server 2012 R2 or later. Earlier versions of Hyper-V may work but are not supported. FTP (URL) backups are recommended, but in reality any storage Resource that can be used by both a physical server or virtual machine (VM) will work. CentOS Server 7 - 1511 or later. All Red Hat / CentOS / Oracle Linux 7.x releases must be fully patched to at least the 7.2 (1511 for CentOS) level for P2V to function. 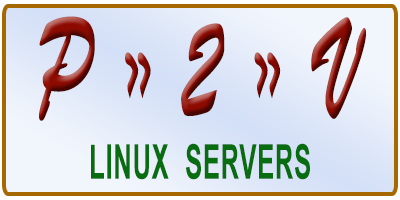 The P2V procedures are describe in detail in Section 30 - Disaster Recovery - Linux P2V of the BackupEDGE User Guide. Please see the User Guide for additional information and capabilities.